Buy now this product together with Coffee Espresso Lavazza Qualità Rossa 250 gr. 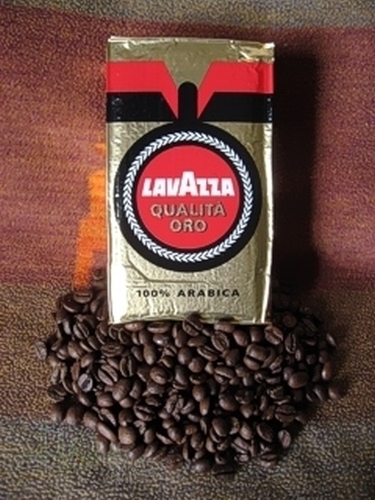 ready for shipment: in stock Coffee Espresso Lavazza Qualità Rossa 250 gr. Buy now this product together with Coffee Espresso Lavazza Crema e Gusto 250 gr. ready for shipment: in stock Coffee Espresso Lavazza Crema e Gusto 250 gr. Coffee Espresso Bristot classico fine grind 1 kg. 8,65 EUR / 8,65 €/kg. Coffee Bristot Espresso Beans 1 kg. silver 12,95 EUR / 12,95 €/kg. only 8,65 EUR / 8,65 €/kg. Coffee Espresso Bristot classico fine grind 250 gr. 3,40 EUR / 1,36 €/100 gr. Coffee Espresso Rocchi Special Bar Beans 1 kg. 9,47 EUR / 9,47 €/kg. Coffee Espresso Illy fine grind 250 gr. 8,11 EUR / 3,24 €/100 gr.